This unique charm necklace, fashioned out of solid copper chain with a beautiful faceted chalcedony drop, is paired with a highly detailed solid copper beach rose leaf made from my own original mold along with a copper disc onto which the word GROW has been stamped in lower case. 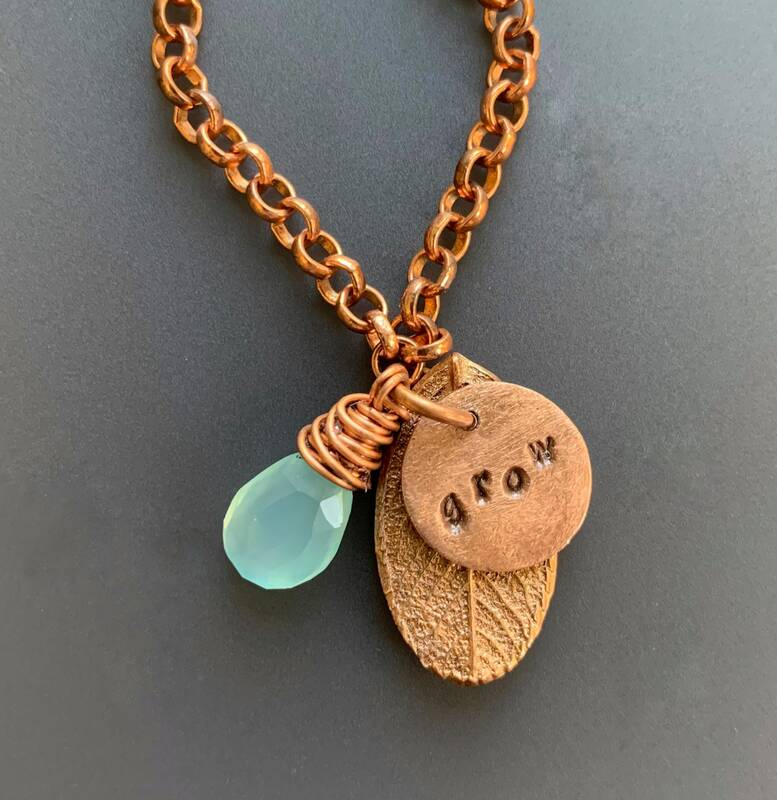 A great gift for the gardener, the necklace measures 17.5 inches laid end to end including the clasp, which was hand-hammered and forged by me. Allow this beauty to oxidize naturally, or polish it up to a bright finish by rubbing it with a soft, clean cloth dipped in Penny Brite.